At Intelligent Management we are excited to announce the arrival of something we’ve been working on for some time. Helping organizations to break down barriers, overcome silos and unleash people’s potential to speed up flow is our focus. Now we have a piece of technology to support the effort required. It’s called Ess3ntial and our Founder. Dr. Domenico Lepore, would like to tell you about it. In the last 10 years, following dozens of successful implementations, my team and I at Intelligent Management came to a conclusion: the only way to see the teachings of Drs. Deming and Goldratt bear their full and enduring fruit was to envisage an organizational structure capable of capitalizing on the scope and depth of their work. Such a structure, we argued, must be consistent with the systemic nature of their management approach; it must contain the seeds for the transformation from Silo to System. How can we make operational the systems view of the organization first laid out by Deming in 1952? How can we factor in the leverage point called “Constraint”? How can we give the right emphasis to the role of “Flow” while preserving the need for “Control” in the management of the operations? At an even more fundamental level: How can we overcome the inherent conflict between pursuing local vs. global optima, made evident by the ever-increasing level of interdependencies and interconnections that every organization is weaved into? We called the result of our work on Organizational Design the “Network of Projects”. We believe that the essence of the work that organizations carry out is project-like in its nature. The success of every organization depends on the success of its projects. Every organization is, essentially, an ongoing collection of unfolding projects. For this reason, the focus of leadership, Boards and C-suites must be on how well and timely these projects are executed. Projects require a pool of competencies and every person in the company brings a set of competencies at various levels. When we have a way to schedule those competencies into projects, we can truly unlock the potential of all the resources available. We can facilitate teamwork by removing the barriers that prevent it, orchestrating people’s talents and skills in a time-sensitive and continuously evolving Network of Projects. By scheduling available competencies, we gain unprecedented flexibility and we accelerate project completion. This accelerates the achievement of the overall goal of the organization, financial or otherwise. The Critical Chain algorithm, originally developed by Dr. Eliyahu Goldratt, has long been adopted by a myriad of sectors, including high tech, aerospace and military, for its effectiveness. Critical Chain schedules projects based on real availability, i.e. finite capacity, it accelerates project completion through realistic estimates of task duration and absorbs the variation that affects all the tasks into one Project Buffer at the end. “Ess3ntial” is the result of an ongoing, joyous and life enriching collaboration with a team of scientists and software engineers; their ingenuity and commitment to support the quest of Intelligent Management of Project Success for a more evolved form of management never cease to amaze me. Thanks to them, Ess3ntial is also the first step towards a much more meaningful way of conceiving and developing software for true value creation. 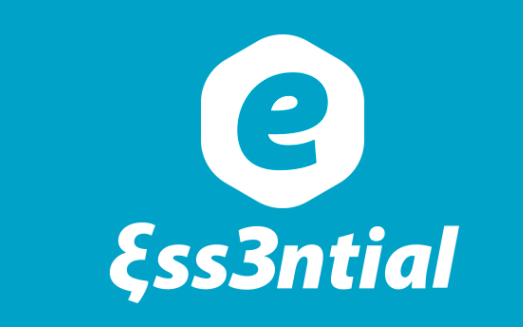 Ess3ntial is a software platform that enables managers to work with a Network of Projects at finite capacity by scheduling competencies according to their availability. The engine of the software is the Critical Chain algorithm, appropriately modified by Intelligent Management to account for multiple projects and to manage levels of competencies. We started from the math; we wrote the algorithm, built the code and developed it into a software solution. Moreover, we have introduced a statistical understanding of Project Buffer variation that allows a true insight into project progress, far from the fallacies of the three-zone, spec-induced and tampering-prone management approach. Ess3ntial provides managers with meaningful control through managing the Project Buffers that are the real thermometer that measures the temperature of an organization. By constantly monitoring the state of the buffer for each of the ongoing projects, leadership can have a real insight, not numbers from a spreadsheet, into how well the flow of events is generating units of the goal the organization is pursuing. Ess3ntial enables a better future of work. It addresses the multilayered issue of how to optimize finite resources to maximize throughput. This is critical if we are to generate wealth sustainably and in a way that maximizes Quality of products and services, meaningful Involvement of people and accelerated Flow of project completion. Ess3ntial is the fruit of 25 years of work from Intelligent Management Inc., supporting organizations in a continuous feedback cycle between sound theoretical development and on-the-field validation. Ultimately, we are Applied Scientists and our realm of operation is organizations striving for better performance at every level: we are successful if they are. At the very core of all this work there is our vision and drive to provide a meaningful contribution to the advancement of Dr. Deming and Dr. Goldratt’s teachings; our goal is, to use the words of Dr. Deming, “the transformation of the prevailing style of management into one of (whole) systems optimization”. Contact us to find out more about how Ess3ntial can help you and your projects succeed. Intelligent Management, founded by Dr. Domenico Lepore, helps leaders in organizations to speed up flow, overcome silos, and shift towards a systemic way of working, scheduling competencies into a synchronized Network of Projects. Intelligent Management provides internationally education, training and software for whole system management using the Deming and Goldratt Decalogue methodology . The post Deming and Goldratt: The Software appeared first on Intelligent Management.